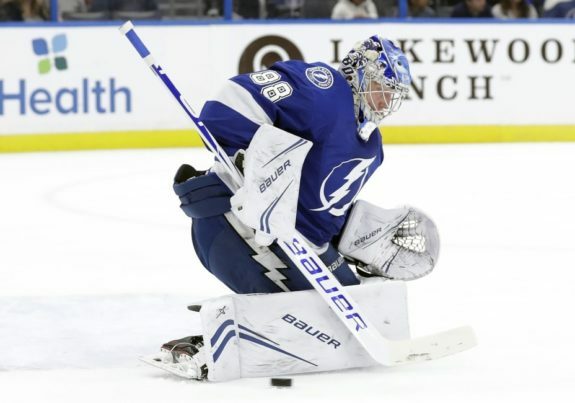 TAMPA, Fla. — Brayden Point had a tiebreaking power-play goal in the third period and added a late empty-netter in the NHL-leading Tampa Bay Lightning’s 3-1 comeback victory over the Carolina Hurricanes on Thursday night. After Point scored from in-close with 3:15 left, the centre got his 28th goal into the empty net during the final minute. The Lightning, 17-1-1 over the last 19 games, tied a team mark with their ninth consecutive win at home. Point had his original shot stopped by Mrazek but put home a rebound by knocking in an ankle puck. Mrazek made a big save on NHL points leader Nikita Kucherov with five minutes to play. NOTES: Tampa Bay is 6-5-0 when trailing after two periods. . Williams has 18 goals in 52 games against Tampa Bay. . Lightning RW Ryan Callahan (upper body) missed his second straight game and is day to day. . Victor Hedman played in his 663rd game and moved past Pavel Kubina for the most by a Tampa Bay defenceman.